Until about the 1960’s when this form of punishment began to decline in popularity. However, there are very few of us today who have not witnessed, suffered or administered the soap in the mouth punishment. Nowadays, parents are turning to discipline methods that don’t involve physical punishment but a quick surf of the web revealed to me that soap punishments are still common place and widely accepted. Should they be? 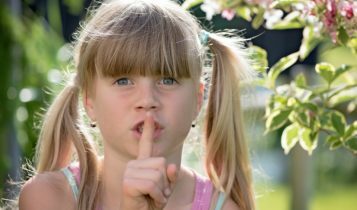 If grabbing a bar of soap is your first reflex when it comes to a potty-mouthed child, please read on and consider the dangers and implications this punishment can have plus some great tips for dealing with bad language in alternate ways. The act itself is not necessarily dangerous but the substances used in this punishment can be. Laundry soap and dishwasher detergent may cause serious harm and illness whereas regular bar soaps and liquid hand soaps can cause vomiting, diarrhea and irritation of the mouth and stomach. In 2009, a Florida couple were arrested and charged for child abuse after forcing their 10 year old daughter to hold a bar of soap in her mouth for 10 minutes. She eventually began to vomit and was taken to the hospital by her parents where authorities were notified by the staff. Forcing a child to ingest soap places them at risk of physical illness and poisoning as well as choking – even if the soaps are non-toxic and designed specifically for this purpose. Yes, they exist. Some parents instead resort to using vinegar or hot sauce in their child’s mouth as punishment for swearing. Although these substances may not be physically harming, there is still the issue as to the nature of the punishment. Your answer to this question will provide some insight into whether or not you think soap punishments are abusive. The bottom line is that forcing anything into your child’s mouth, whether it be soap, hot sauce or vinegar, is abuse. The AAP (American Academy of Pediatrics) deems the act a physical punishment along with spanking. So does the law. A 23 year old British man pleaded guilty in 2015 to an abuse charge after he held down a 6 year old he was babysitting and forced him to consume soap after he caught him swearing. He was convicted with assault. First of all, you need to figure out why your child is swearing. At a young age, children repeat what they hear and they do not realize that the words they are using are wrong. As they get older, they may use foul language as a way to get attention or as a means to express themselves. In extreme situations, swearing may stem from a psychological cause such as Oppositional Defiance Disorder. Where do they learn it? Probably from you, to be honest. However, children can certainly pick up on inappropriate language from television, movies and other children at school. In order to curb your child’s swearing, begin by watching your own language and eliminating bad words from your vocabulary. Equally important is to not react and reinforce the behaviour by laughing or making a scene. Dealing directly with the behaviour is age-dependent. It is best to ignore the behaviour when it comes to toddlers and small children. As their vocabulary expands you can begin to calmly and simply explain why these words are bad. Offer alternative words to help them express their message and feelings. Once your child is old enough to know better, yet continues to swear, it is best to establish rules when it comes to language and implement consequences for breaking those rules. I’m not condemning parents who choose to use the soap method to curb swearing and bad language – I simply wish for those who considering this form of punishment to give it some thought and at least give some other methods a try.